Following the F word you will also know how important and how enthused I am by fashion, so you can imagine my delight when I came across the above at; Fashion ft Abstract Art! At New Bond Street’s Galeries Bartoux, Fred Allard show cased his unique pieces over summer last year. Having worked within communication, fashion and new technologies, Allard fused the mix of genres by composing his artworks with fashion, design, matters, colour, paintings, sprays, photos, collages ingredients in order to transcribe them again on large formats or in inclusions, to create the above series. These are 3 of many, but based on what was exhibited in the London Gallery as well as what I captured, I found it necessary to share the above. I love the theme because its such a random combination of brands; then embellished with all the rustic spray paints before finished in what looks like blown glass; is absolutely amazing. Certainly a head-turner! The contrast of colours also help draw attention, as you stop, stare and wonder for a moment! What? Why? and most importantly, how? Then the desire to figure it all out passes, you take a quick snap chat and move on- all the while full of awe and left thinking how cool it is! This is why abstract art never fails to impress me! “Mademoiselle Privé, a journey through the origins of Chanel’s creations, capturing the charismatic personality and irreverent spirt of Mademoiselle Chanel and Karl Lagerfeld. This autumn, Karl Lagerfeld and CHANEL will present an enchanted journey through the House’s creativity. The “Mademoiselle Privé” exhibition will highlight the Haute Couture, the re-editions of the High Jewellery “Bijoux de Diamants” collection created in 1932 and CHANEL N°5. 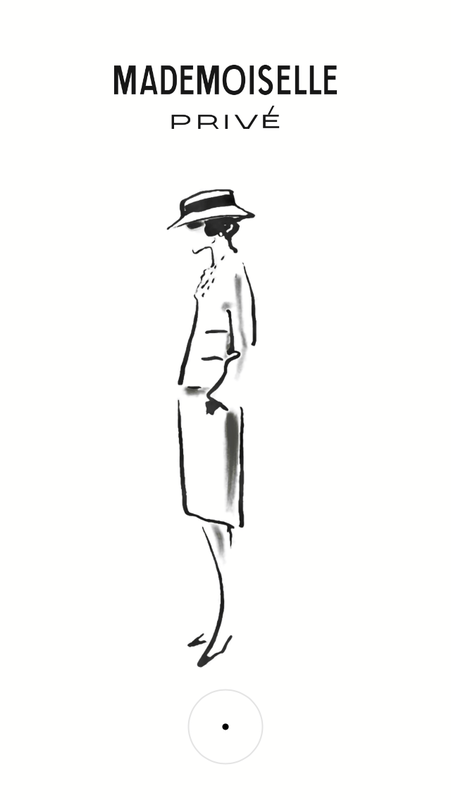 Opening the doors to reveal a dazzling experience and immersion into the origins of CHANEL’s creations, “Mademoiselle Privé” will capture the charismatic personality and irreverent spirit of Mademoiselle Chanel and Karl Lagerfeld. Below are some of my favourite pieces from the exhibition. 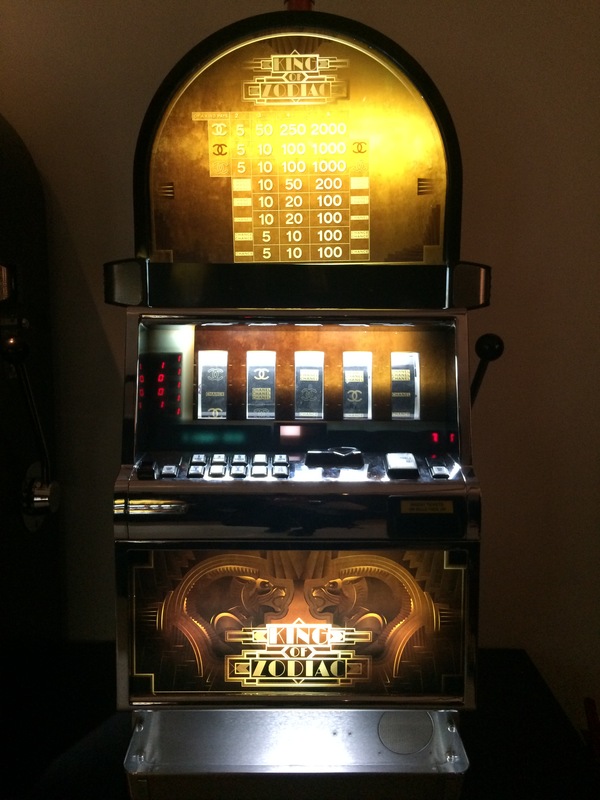 The play on slot machines, that featured Chanel’s infamous double Cs was quite fascinating. I liked the combination of High Fashion and a spot of Happy-Go-Lucky regular gambling; that took on an artistic approach. Also, the Haute Couture room was one that stood out most for me. The dark room that displayed delicate dresses; maintaining a tradition and attention to detail; against bright light rods was amazing. Described as …The ultimate union between craftsmanship and innovation… – I could not agree more! Finally, I really admired the front (door) of Chanel’s original boutique. It was simple and somewhat elegant; thus visually impactive, especially given how large the instillation was and the fact it was against a plain white wall. Naturally, anything Chanel is high in demand, and together with one of London’s best art galleries [plus it was free], demand was certainly high. Visiting on a busy Wednesday evening, the queue was rather long and somewhat deceiving, but definitely worth the wait! 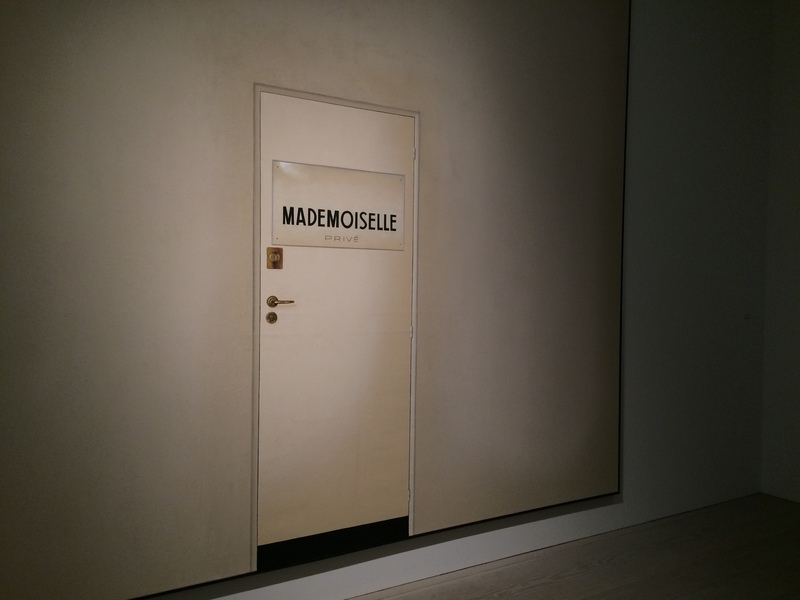 Here are some more snippets from Mademoiselle Privé @ The Saatchi. My kind of “me time”. As well as window shopping, actual shopping and being able to indulge in a delicious cake (or any dessert for that matter); art, galleries and exhibitons are also a part of my safe heaven. Especially abstract art, photography, impressionism, modern art and of course-anything fashion related. As one of my favourite galleries, here are some pieces i found most interesting from my last visit to the Saatchi. Just because. Just because its different. Just because its original and just because I think its cool. 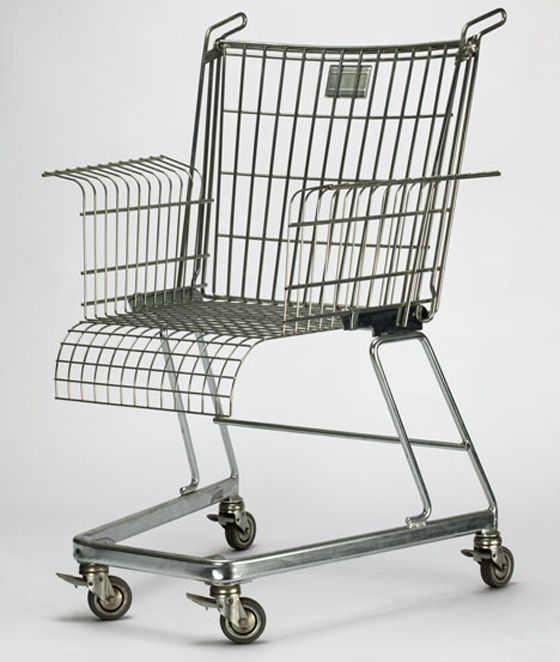 From your typical supermarket shopping trolley to your not so typical, probably not so comfortable chair; comes what i can only assume is a piece of art. As unique and as fun as this novelty is, i can’t imagine a less comfortable seat, therefore it has to be art. The product design is rather clever but the function is not-not without a cushion (or three) anyway. Nevertheless, the transformation process is quite obvious, making it more aesthetically pleasing to look at -if nothing else. Not quite a piece of art or display from the most recent exhibition, nevertheless this is an exhibit to fashion. 90s fashion, some might say vintage fashion or throwback kids fashion; whatever the desired title is; it’s definitely a tribute to fashion. 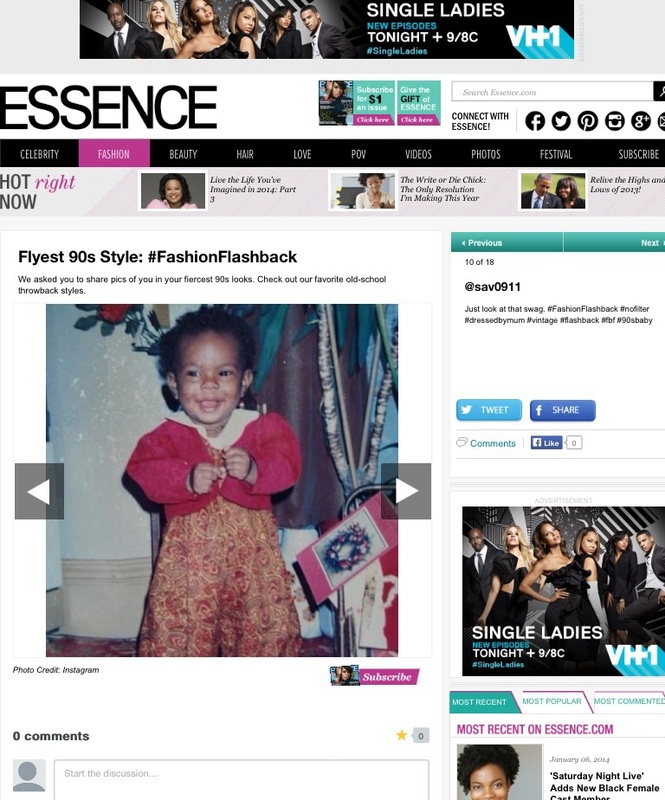 A while ago now, I submitted a few photographs from my so-called fashionable childhood to the African-American magazine; Essence, for a 90s fashion flashback feature on their website. 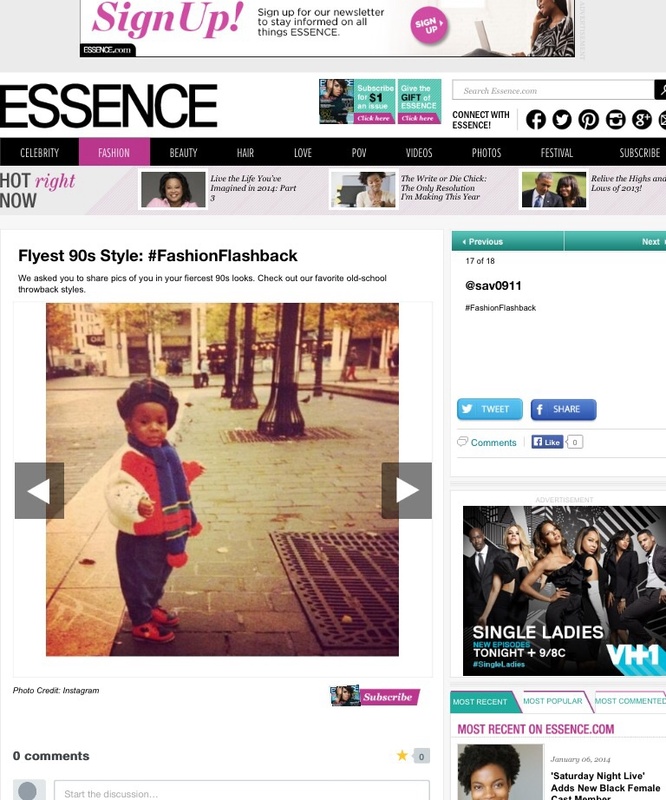 The magazine’s Instagram account launched the search for the “Flyest 90s Style”. Whilst I was successful and managed to get my photos online, I was unaware of this factor for a long time then continued to put off posting them. But now I am ready to share and spread the vintage vibe, so here they are. Go 90s! Brazilian street art; I’m obsessed ! Even the vandalism is beautiful. Yes the UK have Banksy; and don’t get me wrong he is a creative genius; but there is something about the colours and imagery of graffiti in South America that just excites me. The way they some how fit in with their surroundings is pretty cool too, since this denotes more visual impact. The layers of colour, tone and shape create a sense of depth that brings out the vibrancy of each image; making them all the more awesome and worthwhile when coming to a standstill to gaze at. Throughout my school life I took a keen interest in art-did well in it in fact! But now I’ve seemed to have lost my way. Guilty. Gradually over time, Selfridges and Vogue, fashion has taken over. And I love it; I do; but art is still the driver. I mean look at the Rob Pruitt and Jimmy Choo capsule collection in 2012, Mark Titchner and Mary Kantrantzou collaboration also in 2012, the James Nares as well as Hugo Guiness for Coach collections and the Damien Hirst/ Levi’s jeans collab. The list goes on. Not forgetting Louis Vuitton; the number one art inspired fashion house; all you have to do is look at Louis Vuitton to know where art meets fashion. The French fashion house has had collaborations with multiple artists including: Retna, Aiko and Os Gemeos, Dinos and Jake Chapman, Richard Prince, Daniel Buren, Yayoi Kusama and Takashi Murakami. Art, art,art. So many designers take inspirations from art, implicate art, refer back to art and more than anything, they embrace art. It’s the ‘art and soul. As an art enthusiast, I can’t help but be attracted and reeled back in. So far on this South American adventure there has been a couple of galleries, a lot of street art vendors with collections of their unique creations and of course literal street art-in the form of graffiti. Every time; either the colours, texture or imagery capture my attention and that’s it, I’m gone. Every time. Personally, I’m a sucker for abstract art and modern art, so where there is the slightest splash of colour or visually stimulating imagery, I’m like a moth to a flame! So here they are; the ‘art and soul so far! On one of my many trips to my second city; Manchester, I fell in love with these prints. Passing an art shop, Audrey Hepburn caught my eye. Then passing back, I noticed the print was missing from the window, so I had to go in and ask about it. Within an hour or so, it had just disappeared. Luckily, it had just been moved, not sold. 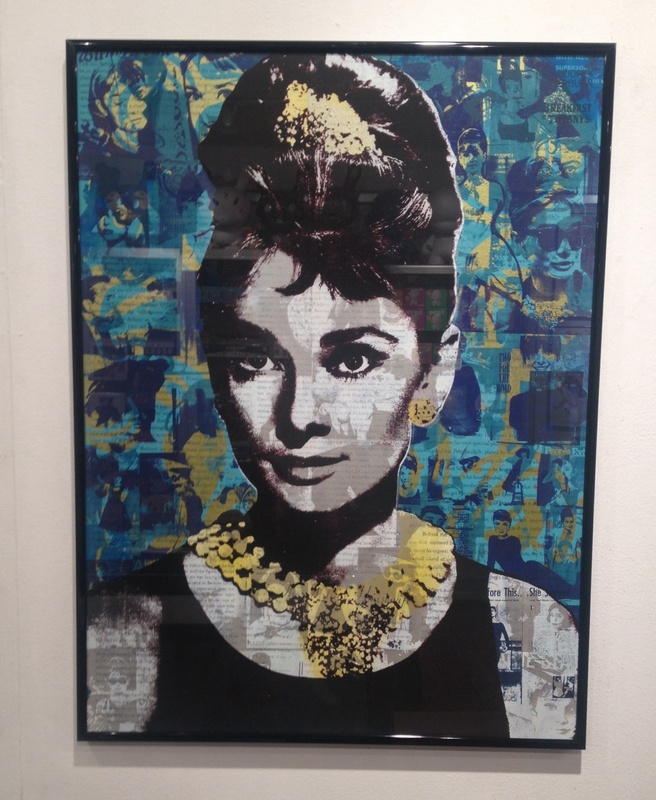 As a lover of all things “Breakfast at Tiffany’s” the Audrey print was defiantly my favourite. 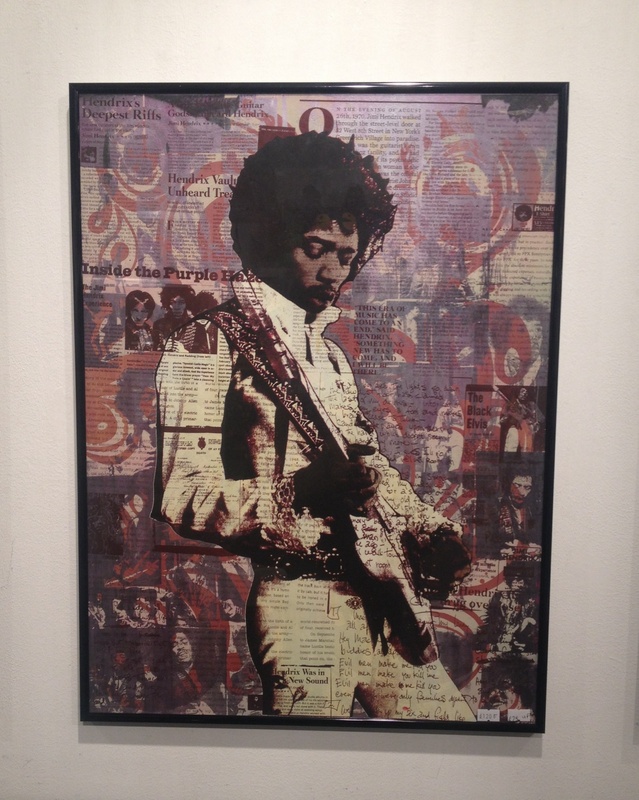 However, amongst the Marilyn Monroes, Beatles and Amy Winehouses, Jimi Hendrix was by far the second best. It is the contrast of colours used, collage-effect with newspaper clippings to fill the area and convey a sense of visual depth. Then with the main imagery screen printed over the creative abstract background; comes an artistcally unique piece. Amazing! Typically we think of the cycle as; trees-to-paper, however another great exhibition at the Saatchi Gallery presents these paper bags back in a variation of their some what natural forms. Its a trees-to-paper and back-to-trees story. From a Sephora paper bag to Marc Jacobs and Christian Dior paper bags, the artistic genius that is Yuken Teruya works ever so delicately to create these phenomenal pieces. The paper bags have been cut to not only create a silhouette of a tree but to form a miniature 3D tree within said paper bag-using the same cutout. I have never seen anything quite like them; they are without a doubt amazing. Teruya’s work is extremely fragile, yet so interesting, unique and creative; all you want to do is reach out and touch it, but because of the fragility the risk outweighs the temptation. The abstract idea that takes paper back to its natural form; through such an interesting and inspirational method; conveys a well thought through creative concept. Furthermore, the use of such well known brands not only suggests, but confirms a sense of brilliance; to engage the onlooker. Celebrating 20 years of Hugo Boss, the Saatchi Gallery represents the brands’s creativity and innovation through an artistic exhibition. With digital instillations, abstract structures, uv lights and unique paint work, Hugo Boss show off 2 decades of red inspiration through the “Red Never Follows” exhibit. As a contemporary fashion brand, the Hugo Boss exhibition featured contemporary art, graphics and digital media! Whilst I am an avid fashionista, I have always had a keen interest in art, so seeing the 2 come together was pretty cool. Some say “tamato” and others say tomato. Most say Adidas, yet others say “Adeedas”. But whatever twang, dialect, accent or language someone speaks, we all know what is being said (well sometimes). With Nike remaining in the limelight, other sports brands make a Comeback, whilst Adidas host a “Throwback”! For all my fellow fashionistas, footwear lovers, trainer freaks, sneakerheads, avid sporty people and the curious passerbyers; if you do get a chance or happen to be in the area, go and have a look. 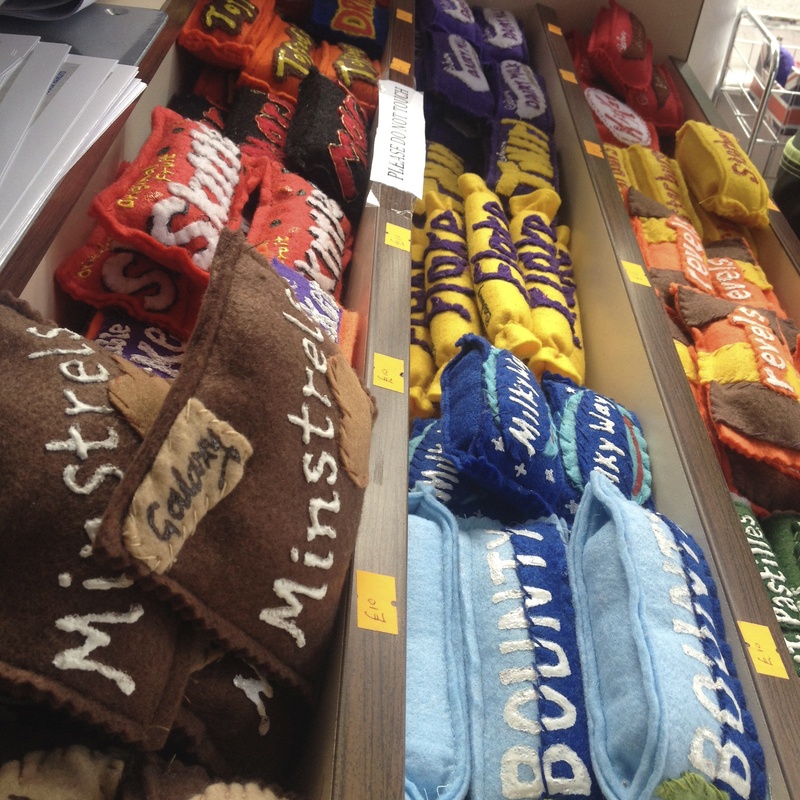 The space is quite small, nevertheless it’s a space filled with character, colour, culture and lets not forget…cabinets! And whats more, it was rather interesting to browse through and worth popping into. When it comes to couture, I have mixed feelings; I’m in love with it, yet because I am not at the point in my life that I can afford it, I’m a hater and envy every one that can. A recent trip to the V&A made me come to this realisation. 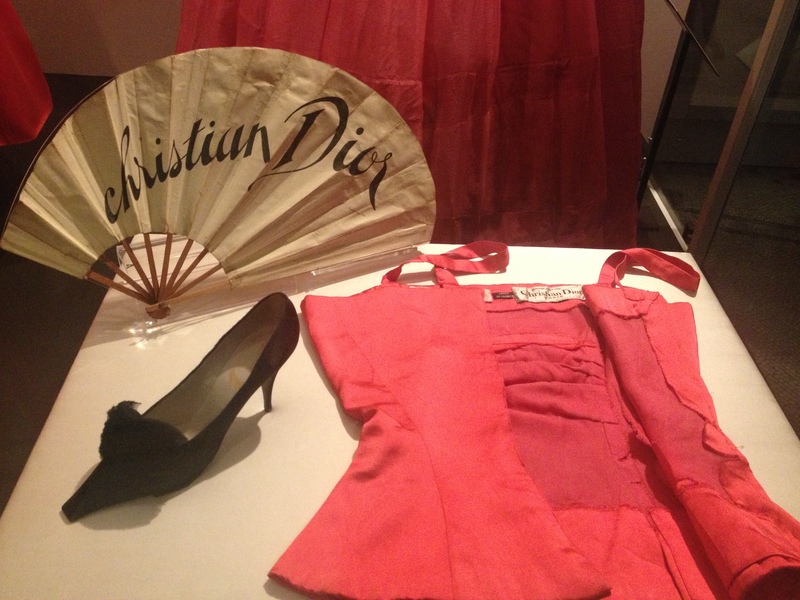 When the day comes that I can in fact afford Haute Couture, Christian Dior is definitely first on my wish list; from a Miss Dior bag to a gorgeous gown; I am waiting for that day from now. Ball Gowns Through the Ages…. It was quite amazing seeing Fashion evolve over time, and of course just admiring the pretty dresses, I hope to have the pleasure of owning one day. Although they might say that New York is “The City that Never Sleeps”, London is certainly a city that rarely sleeps; and that is what i love most about my trips home. So even though I live more of my days out of the year in Manchester, home is definitely where my hearts is. It is the culture, art and random little places, that nowhere else has that i adore most about London. Being home over the summer and only working 3 times a week, I needed to keep myself busy. With London 2012, there was plenty to do and see. So I became a tourist in my own city. It was these ‘Childline Campaign’ telephone boxes that appeared most interesting to me. As BT celebrated 25 years of ‘childline’, artists redesigned and some transformed the classic British red phone box. So after seeing my first ‘arty farty’ telephone box, I made it my mission to find them all; well as many as I could . These were then auctioned by Sotheby’s at London’s National Portrait Gallery in July.